School is in full gear around the nation and many have already brought home their first report card. That first day of school can be tough for everyone but for military kids who have moved to a new community, the transition can be heartbreaking: new friends, new teachers, new rules, new, everything. 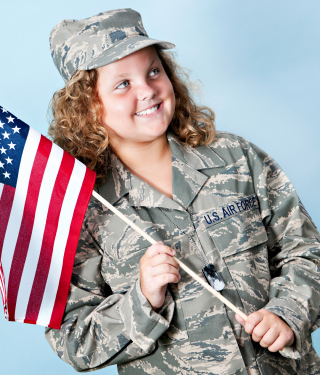 The Military Child Education Coalition is dedicated to helping military children make those transitions smoothly as they work to ensure quality educational opportunities for all military children impacted by deployment, family separation and transition. I had a chance to speak with Michael Gravens, the coalition's communications director about the transition to a new school, and specifically what parents could do when their students still were aching for their old school. AP: What should parents be doing to make sure their children are thriving and enjoying the experience at a new school? MG: First and foremost- be engaged! Teachers and parents are both crucial to the success of the child. Time always seems to be the most precious resource, but somehow, some way, parents must find the time to be a part of the child’s learning experience. Many parents underestimate the value of their own involvement- both with their child at home and with the school. Good communications between the family and the school are critical. If there is a “Meet the Teacher” night then the parent definitely needs to be there. At the beginning of the school year, teachers are very much in the review process, trying to determine what their students know and don’t know. Parents engaging early-on with the teacher and sharing parent insights regarding their child can really help the teacher shape the classroom experience for the child; having a portfolio on the child’s learning experiences in the last school can also be very helpful. What are your expectations of my child? How does the school measure progress? What specific teaching methods and materials are used? See if the school has a website, if so, the website can provide ready access to all kinds of essential information, not only rules and regulations, but much more. If the school has a newsletter, sign up! If you really want to know what’s going on at the school, join the PTA, or PTO, or whatever parent group is there at your child’s school. AP: Parent/teacher meetings can be stressful. What type of questions should parents ask teachers? What sort of information should they be looking for to make sure their child is adjusting? MG: A successful parent/teacher conference can make a world of difference for everyone - the parent, the teacher, and the child. The conference is an opportunity to build a relationship between the parent and the teacher so that together, they may both do their part to ensure the child’s growth and progress. Engaging and listening are the keys to progress and improvement. Parents should indeed show up on time for their conference and have a prepared list of questions, and those questions aren’t necessarily the same for every family. Reviewing the child’s recent work beforehand can help determine what some of the questions should be and thereby be useful to the conversation. Sharing how your child learns best may be a pearl of information for the teacher. Asking how you can help not only your child but how you can help the teacher as well, can be a breakthrough in some situations. Ideally, the parent and the teacher develop a plan together on how to best help the child at school and at home. And of course, knowing how the teacher prefers to communicate - email, notes or phone calls is always good. Afterwards, the child should normally be told what was discussed with the teacher and what the plan is for the future - then stick to it. Stay in contact with the teacher on a regular basis- you don’t have to wait until the next conference to compare notes with the teacher. MG: It’s not an uncommon statement and is routinely announced before the child has made friends. Change is hard, no matter how old you are. Comparing new places to the old place is something we all do. Before your child can even think about how his new school is different from his or her old school, discover what the new school has to offer. Having friends and fitting in can seemingly be everything to a child or youth. What are the child’s interest? There’s where the lasting friends are normally made - tying in with those of mutual interest. Sometimes drawing the child out about what they liked best at their old school can help you frame a suitable response and help the child plot a path forward in the new environment. Ask, “What’s three things you liked about your old school?” and then build from there with the new school. Don’t be surprised if it takes more than one conversation about the subject. Following up with specific questions can be very helpful if you see the child is in a bad mood. Helping the child sort through the issues can make a world of difference rather than simply expecting the child to figure it out. AP: What do parents do if they realize that the academics at their child’s new school are either harder or less difficult than their previous school? MG: Persistence trumps everything, whether the child and the parent need to kick it up a notch or two on the effort side or perhaps they need to determine new or additional venues to challenge the child in their educational development. Being bored with school is never a good thing, no matter where your child fits on the scale. Once again, having a close relationship with the teacher may help to alleviate some of the challenges or issues. Children and youth need engaged parents and motivated teachers to help them along the way. Add in a mentor or role model for the child and you’ve got three key ingredients for the success of any child.